Millions of dollars’ worth of life-saving medications treating everything from heart disease to diabetes are being routinely destroyed rather than donated toward a state-operated, voluntary drug donation program. Ohio’s Drug Donation Repository began in 2003 and was the first in the nation to create a program allowing nursing homes, long-term care pharmacies and wholesalers to donate unused medication for redistribution to Ohio residents who meet specific financial requirements. The program serves thousands of people unable to afford medications. A 5 On Your Side investigation has found a major pharmaceutical supplier has pulled the plug on donating the unused medication, depriving thousands of life-saving drugs they depend on. As a result, the decision by CVS/Omnicare to withdraw from the program is having a devastating impact on donation centers across the state. 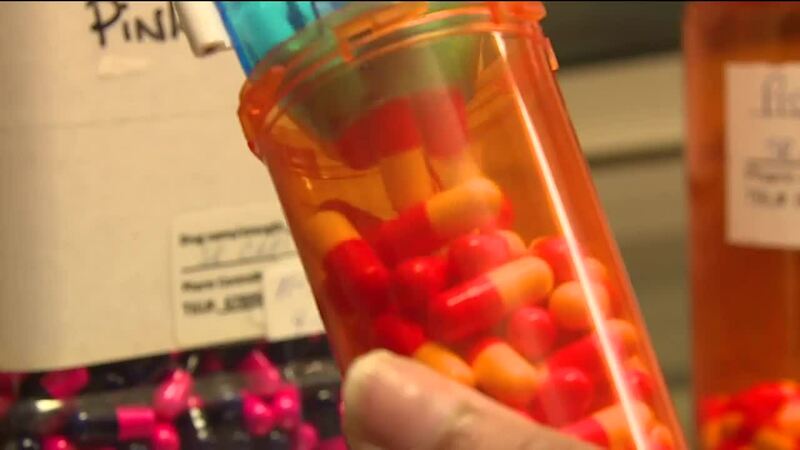 The Northeast Ohio Prescription Drug Repository, serving 750 patients in Geauga and Lake counties, said many of them will no longer be able to obtain the medication they need to survive. Lucia said perfectly usable medication still in protective wrap, within expiration dates and free of any tampering has only two endings. “Going to a prescription program like ours, or the trash,” he said. Meanwhile, the U.S. Environmental Protection Agency warns it has found evidence of discarded pharmaceuticals in the nation’s drinking water , citing 750 tons are wasted by nursing homes each year. Our investigation found the destruction of the medications are also wasting taxpayer dollars since they are paid for through taxes supporting Medicare. Last year, Medicare spent $100 billion on prescription medications nationwide. And it’s impacting patients served by the program, like Bill Burkholder, who can obtain prescription medicine for $15 when the original cost would have been $500. “It made a huge difference because my quality of life – if I had to pay for my drugs – would have been zip,” Burkholder said. This is not the first time Ohio’s Drug Donation Repository Program has hit roadblocks. In 2007, a 5 On Your Side investigation first revealed how pharmaceutical companies were slow to participate for fear of potential liability and lawsuits. Our reporting prompted a new state law that strengthened liability protections following legislation introduced by state Senator Kirk Schuring, who was also responsible for creating and establishing the program in 2003. While Ohio’s drug donation program is being severely crippled, Iowa’s leads the nation. Since it began 12 years ago, Iowa’s program has seen $35 million worth of donated drugs serve 88,000 people. In addition, donors are protected from any liability. “There’s an indemnification clause that provides protection for individuals or organizations that are donating medication operating the program and dispensing donated medications,” said Jon-Michael Rosmann, who heads up Iowa’s program. CVS declined to be interviewed for this report but did provide a statement that blames a 2013 federal law requiring them to protect against harmful or counterfeit drugs from being distributed. You can read their full statement here .